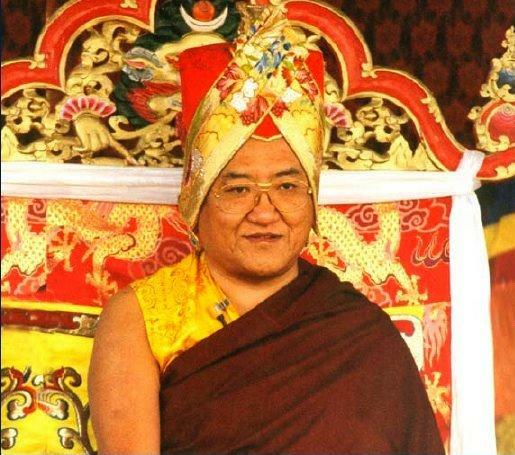 Today, September 7, is the birthday of one of the eminent teachers in Tibetan Buddhism, His Holiness, Sakya Trizin. 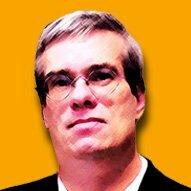 It’s always bittersweet when a great being reaches the age of seventy—we can be thankful for decades of teachings and care, but at the same time apprehensive about the future and, with attachment, desperately wish for many decades more. Festivities are planned around the world in honor of this Bodhisattva: Tsog offerings, banquets, fireworks, songs and dances. In August, he celebrated his birthday early in his U.S. seat in New York. 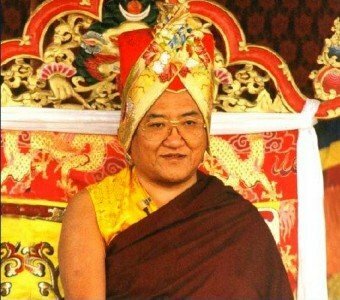 His Holiness Sakya Trizin, lineage holder of the Sakya Lineage. Sept 7 is his birthday. The Sakya Tradition of Tibetan Buddhism is one of the four great religious traditions in Tibet. 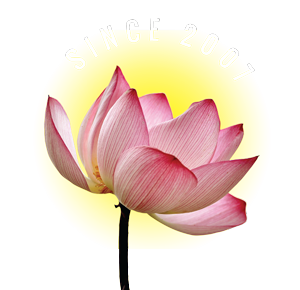 While it is not my main tradition, I’ve attended events and teachings. When I arrived, I understood the overwhelming popularity of His Holiness. There wasn’t a parking spot to be had within a half hour walk of the temple. By the time we got there, the lineup was fully one street block long. Even thought I thought we was two hours early, I now worried if we’d even get in. A quick inquiry of the patient people in line indicated that yes, they were advance ticket holders. 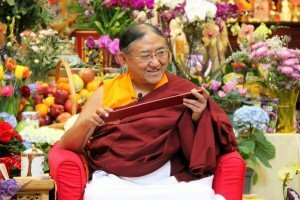 His Holiness Sakya Trizin at an initiation. Respectfully—nearly an hour of shuffling in line later—we all crowded in, although we were in the lower level. As “latecomers” we were relegated to watching by “live feed” on a giant screen (with a full room of devotees). It was a powerful experience, even by big screen. I didn’t need to be in the main temple area to feel his searing presence, and to feel the warmth from his glowing smile. When the event ended, I was literally the last in line to meet His Holiness, winding step-by-step up the stairs. Even with such overwhelming numbers, His Holiness spent time with each attendee and offered blessings. His Holiness was born September 7, 1945 with the Sanskrit name of Ayu Vajra, a lineage holder of the family Khon that dates back to 1073 A.D. According to tradition he received his actual name, Ngawang Kunga Thengchen Palbar Trinley Samphel Wangyi Gyalpo, with he received his first initiation. Many auspicious signs accompanied his birth. Hi Holiness Sakya Trizin as a youth. He lost both his parents when he was young and was raised by his maternal aunt. He had two main tutors in his youth, who prepared him for his duties as head of the Sakya lineage. Amazingly, at the age of five his root teacher bestowed profound teachings, and at seven he passed an oral exam on the Hevajra root tantra. His first major retreat was at the age of eight. His Holiness underwent extensive preparation for enthronement, including the lengthy Vajakilaya ritual. In 1959, the year the Chinese invaded Tibet, he was enthroned the 41st Sakya Trizin of the great Sakya lineage. As with other great teachers, including the Dalai Lama, he left Tibet, exiled from his homeland. His first act was to help Tibetans adjust to their new life in exile, and to ensure preservation of the authentic teachings. 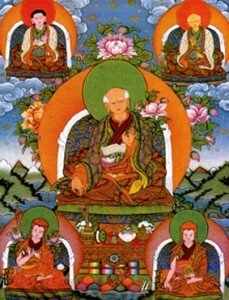 He established the Sakya Guru monastery in Darjeeling. 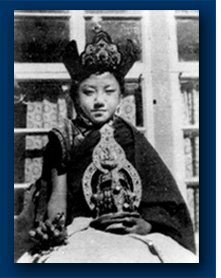 In 1962, only seventeen years of age, His Holiness gave his first Hevajra initation. In 1963, he established the main seat of the Sakya Order in Rajpur. Over the next few years, His Holiness began teaching tours of America, Asia and Europe. To carry on the great lineage he married Dagmo Tashi Lhakee in 1974, and they celebrated the birth of their eldest son Ratna Vajra the next year. In 1979, his younger son Gyana Vajra was born. His Holiness in known for his extensive world tours, not only to Sakya centres, but—as was the case when I attended an initiation—often invited to Buddhist centres of other traditions. 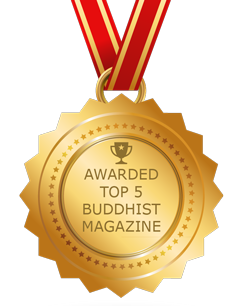 His tireless journey has introduced Tibetan and Tantric Buddhism to many followers around the world. He also established the Sakya College in Rajpur and Sakya Institute in Puruwala. The Sakya Lineage is one of the four great traditions of Tibet, founded in the 11th century. At one time, during the 13th and 14th centuries, the Sakya lineage was, literally, the political power, ruling over Tibet. The great ancestor of the Sakya Trizin was Khon Konchok Gyalpo (1034-1102), the founder of the Sakyas. There were five great founders or patriarchs of the Sakya Tradition as well: Sachen Künga Nyingpo (1092-1158), Loppön Sonam Tsemo (1142-1182), Jetsün Drakpa Gyaltsen (1147-1216), Sakya Pandita (1182-1251), and Drogön Chogyal Phagpa (1235-1280). In 1240, the granson of Genghis Khan, Prince Godan, invited Kunga Gyaltsen (1181-1251), the Sakya Pandita, to instruct him in Buddhism. It is these teachings that largely persuaded Prince Godan from drowning Chinese prisoners, as was their custom. The Sakya Pandita told Prince Godan it was against the teachings of the Buddha. The tradition of association with the Mongolians continued in 1253 with Kublai Khan, and in return the Khan continued support of the Sakya lineage’s political leadership of Tibet. Shortly after the passing of the Kublai Khan, the Sakya lamas removed themselves from politics, and focused solely on the teachings, having helped spread the Buddha’s word to Mongolia and tempering the violence of the conquering Khan. 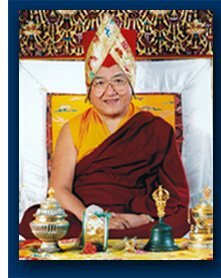 Today, the Sakya lineage is treasured by followers around the world, with many noble projects under the direct guidance of His Holiness, including a Hospital, academies, religious centers, colleges, monasteries and a nunnery. Grant attainment of immortal life! Master of the four worlds, long remain! Wish-fulfilling great King, please live long! Royal sublime refuge, firm remain! You who teach like Buddha, please live long! Vajra like three secrets, long remain! By these powers, our hopes (will) be fulfilled!